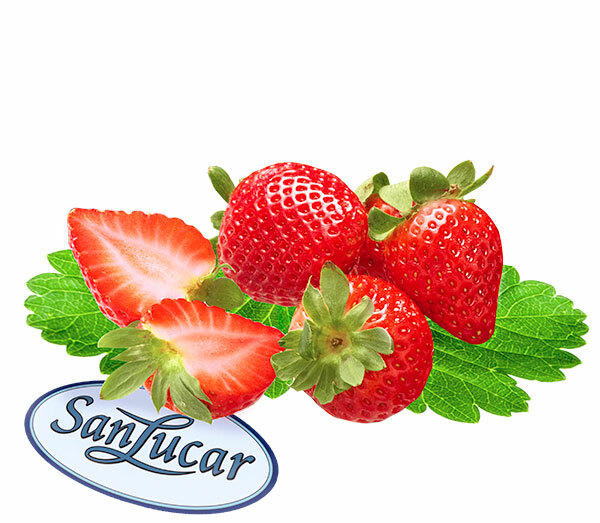 SanLucar strawberries are exceptionally delicious and aromatic. From January to May, they come from the southern Spanish region of Huelva, where our fields are located around the village of San Bartolomé near the Atlantic coast. Here, they thrive in the climate of short mild winters and a sunny and warm spring with a lukewarm sea breeze. 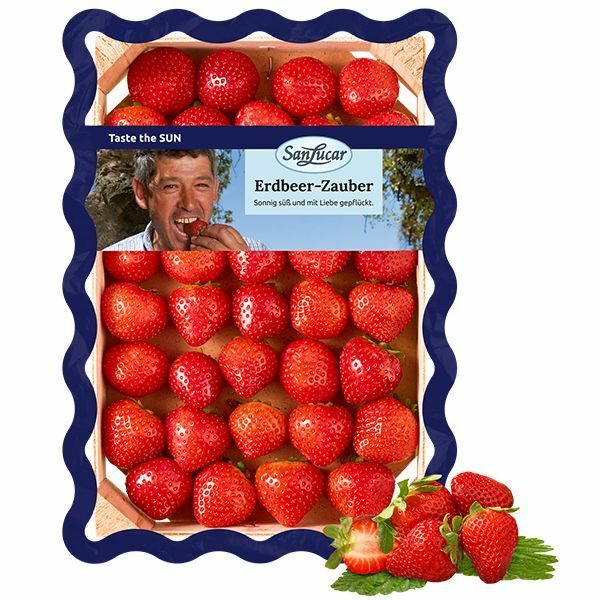 When the summer comes in Germany, the Hensen family from the Rhineland makes sure we get delicious strawberries. They come from protected cultivation, where the sensitive fruits are safe from wind and rain. They are raised lovingly, so they are naturally sweet. Strawberries do not ripen after picking. So it is best to eat them right away. So cut the leaves away just before consumption and wash the strawberries. This applies to all berries, cover them and put them in the refrigerator. To freeze, place them loosely on a metal sheet without the stem base and allow them to freeze. Then put the frozen fruit in a freezer bag. From the winter months to the early summer they come from the southern Spanish province of Huelva. In the summer they come from Swisttal in Germany. If you don’t want to eat the strawberries immediately, keep them covered in the coldest part of the refrigerator. They will last one or two days like this. It’s best to take them out about a half an hour before consumption. They taste the best at room temperature, as the cold neutralises their sweet flavour. And don’t forget to wash them. 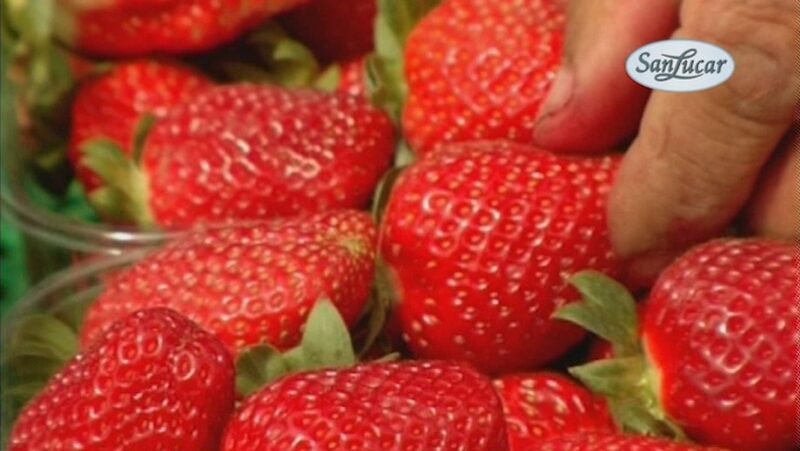 Strawberries are low in calories and contain a whole 58.8 mg of vitamin C in 100 g – even more than oranges and lemons. And did you know that strawberries belong to the nut genus? The many small dots on their surface are actually nuts. Even way back in the Stone Age, the fruits played a role in the diet. They were the small, aromatic wild strawberries. Not until the 18th century did French settlers along the Canadian St. Lawrence River discover the larger and more delicious variation. 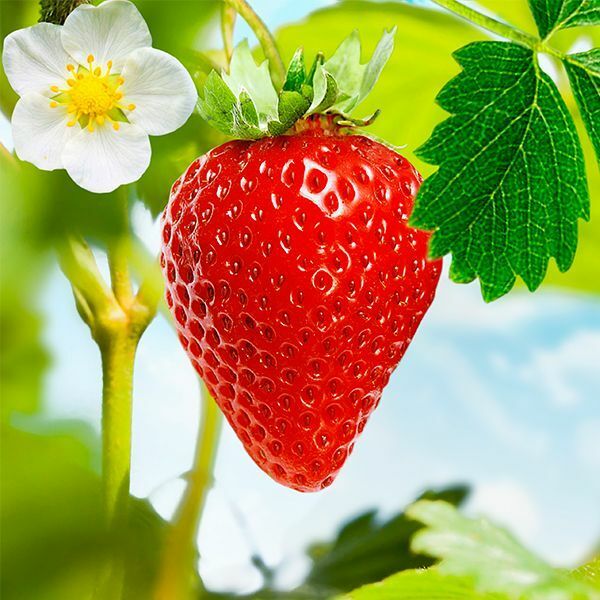 This resulted in the popular garden strawberry, which is today an integral part of the fruits people love so much. Strawberries to fall in love with. 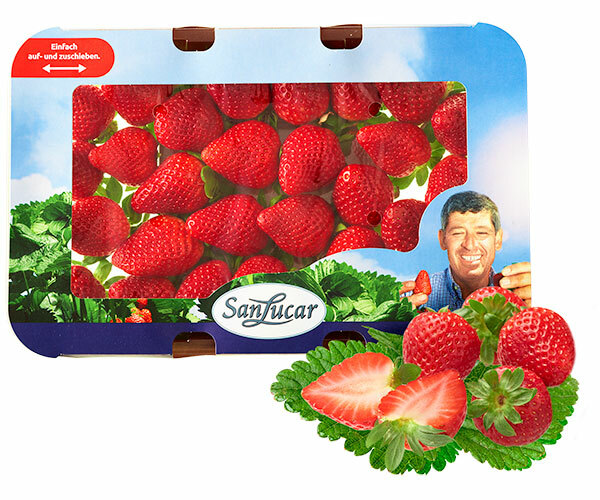 The most delicious fruits, carefully nourished, on a tray and particularly well protected. 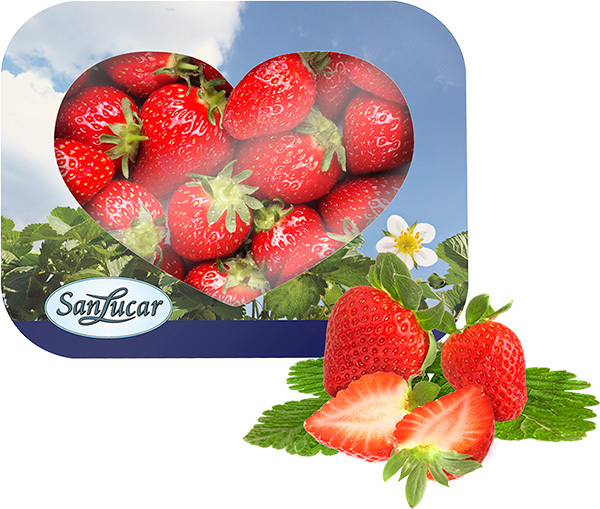 From many sweet strawberries, many great sweet things can be created. Our crate with the perfect amount for cakes or pies. Very classic, but premium class. Sun-kissed, aromatic and as fresh as self-picked. 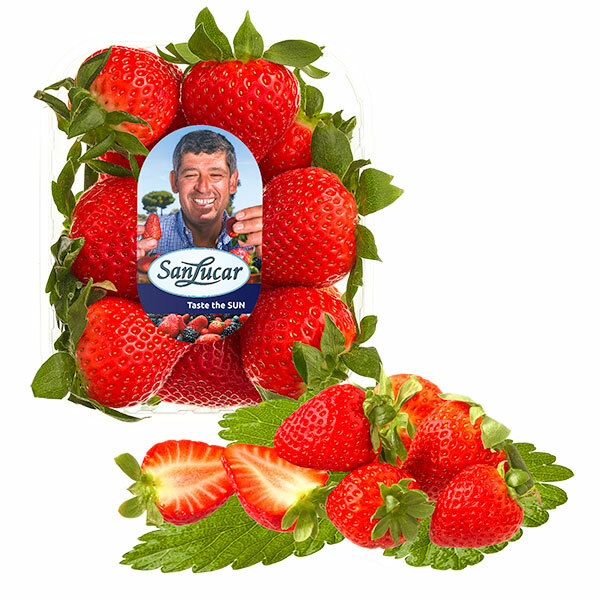 Say it with love and sun-ripe strawberries. For Valentine’s Day, Mother’s Day, indulging and gifting. Our sweet cup with heart.